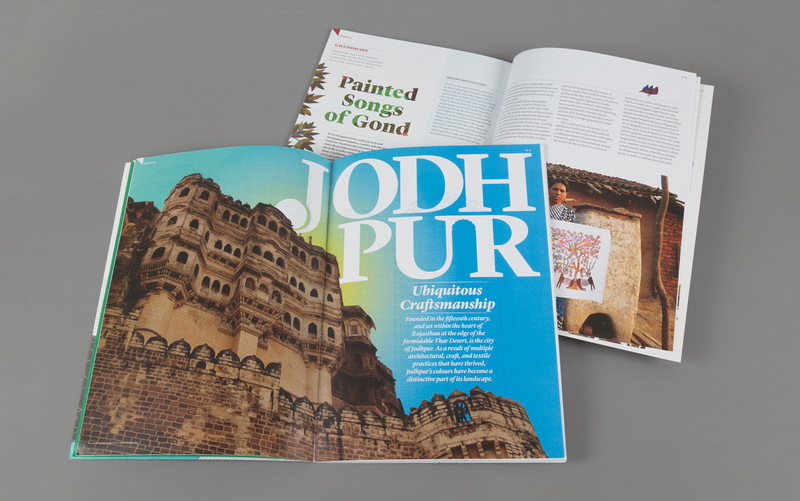 To engage with professional consumers through meaningful content, Codesign works with Asian Paints to bring Colour Quotient—a quarterly colour magazine, published by Asian Paints, for architects and interior designers. 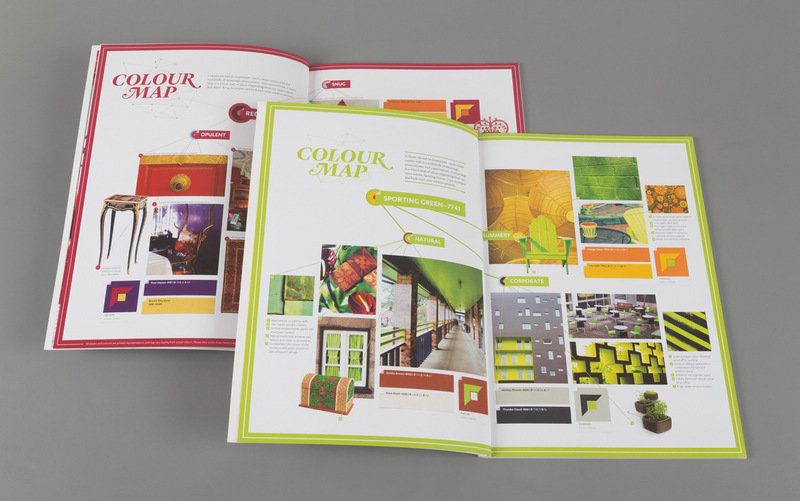 Through the course of a long term engagement, Codesign has created a strong content-driven strategy for the magazine ensuring that it enhances the reader’s experience of the brand, and grows the brand image from a paints manufacturer, to a knowledge leader in the colour segment in India. 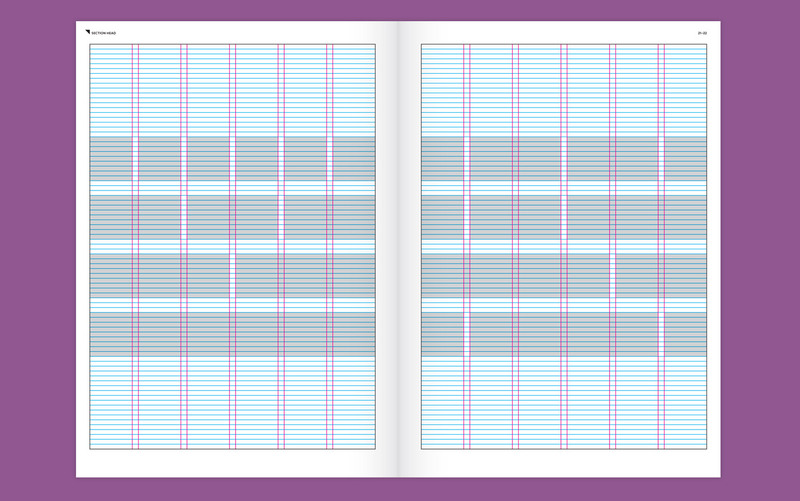 Scope of the engagement includes: Content Strategy, Content Planning & Creation, Magazine Design and Editorial Design. 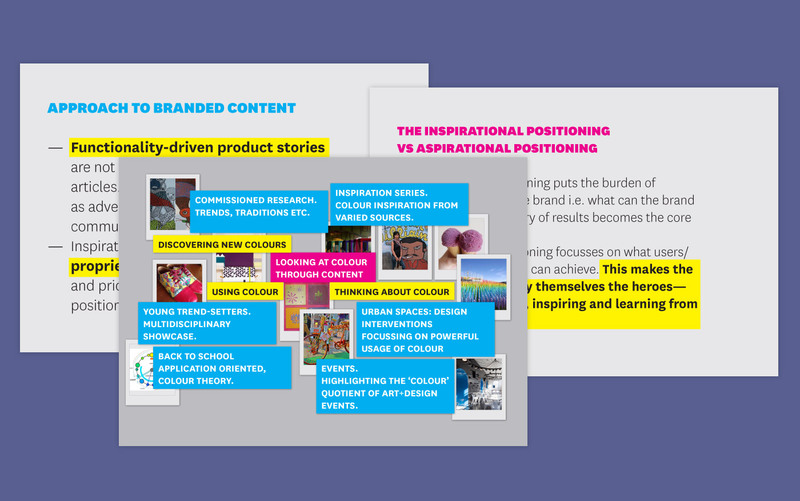 Colour Quotient brings a new way of brand communication to the fore—by creating meaningful content that engages audiences with its utility. 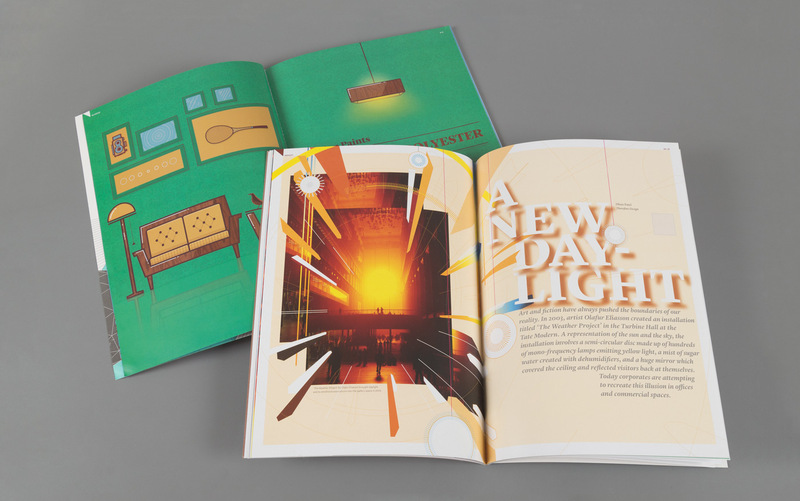 A seamless integration of content and design in the magazine, builds an interaction that goes beyond traditional notion of brand messaging which is centred around products and services. 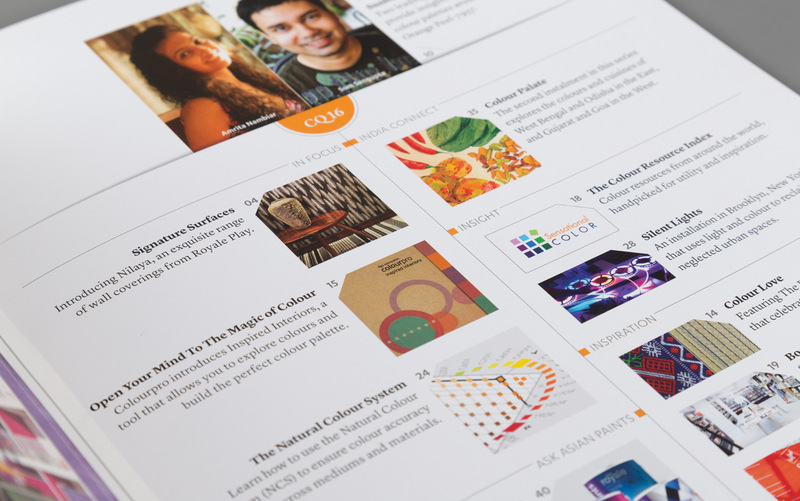 As a knowledge-rich platform, Colour Quotient brings value into the brand's relationship with an important segment of its customers and influencers—architects and interior designers, through inspiration and information. 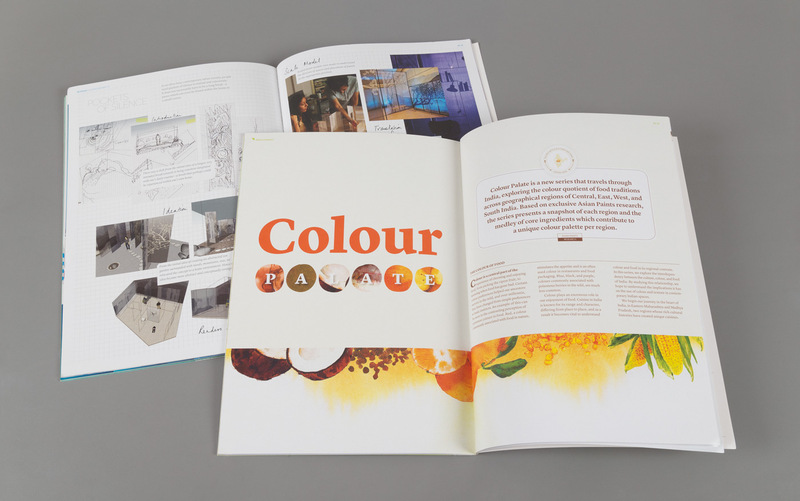 Colour Quotient addresses the lack of a colour-focussed platform in India, for the design community. 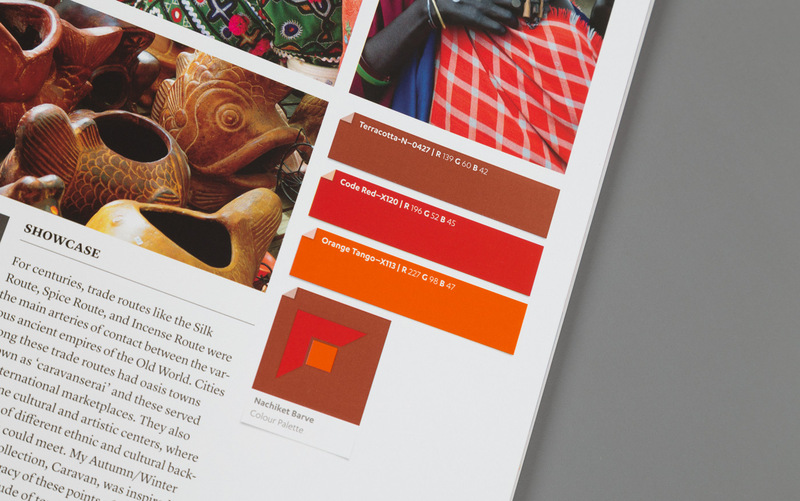 Through its content it encourages exploration of colour amongst Indian designers. Colour Quotient also brings focus to India-centric use of colour by featuring voices from the Indian design community, cultural evolution & symbolism of colour and contextualising solutions to commonly faced challenges in India, like climatic conditions, budget constraints etc. 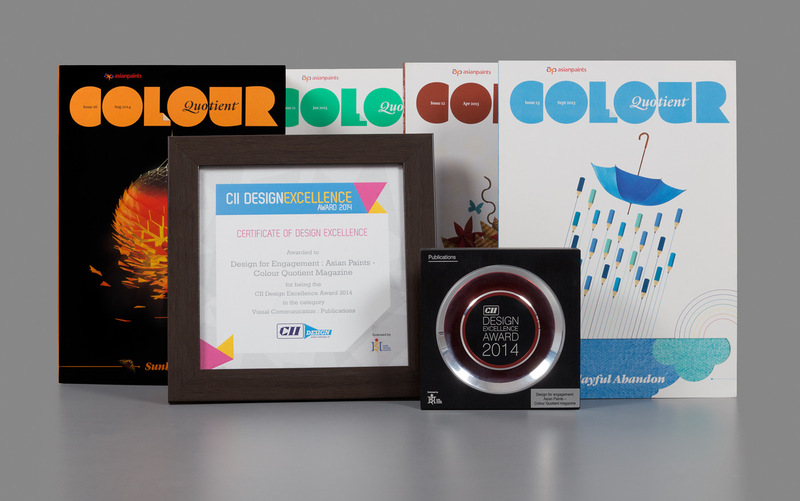 Colour Quotient has enabled Asian Paints to build credibility amongst the design community of influencers as a knowledge partner. It has offered a new and engaging manner of building and sustaining relationships with the creative community, and is now a strong tool for marketing targeted at professional consumers.